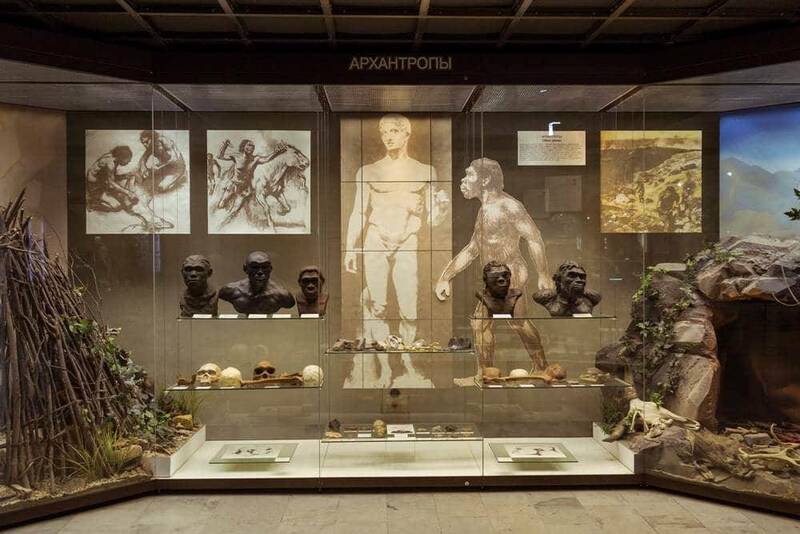 The Darwin MuseumRussian: Darvinovskiy muzey or Дарвиновский музей is the largest natural science museum in Moscow. 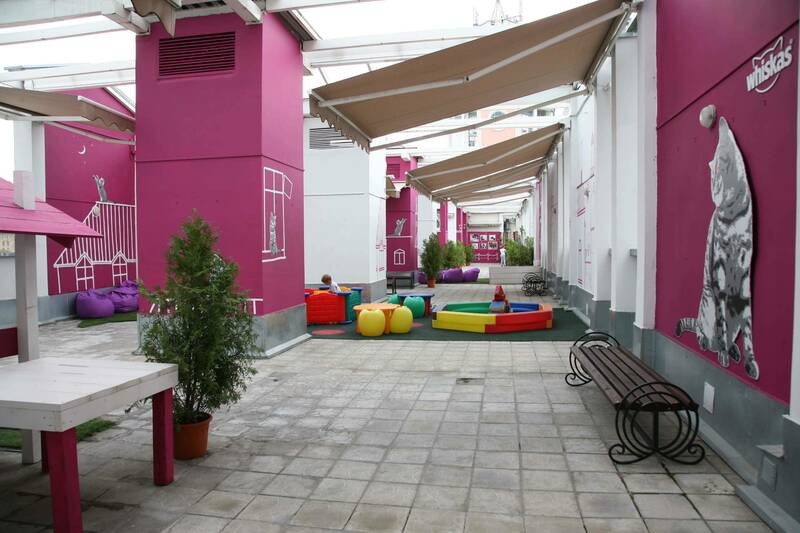 It is located in a residential area in the south-west of Moscow, about a 30 minute metro trip from the city centre. 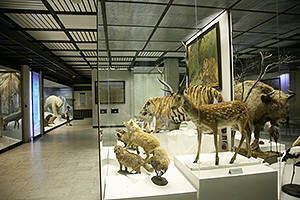 The museum display centres around a rich collection of stuffed fauna specimens, occupying three floors of a vast building. 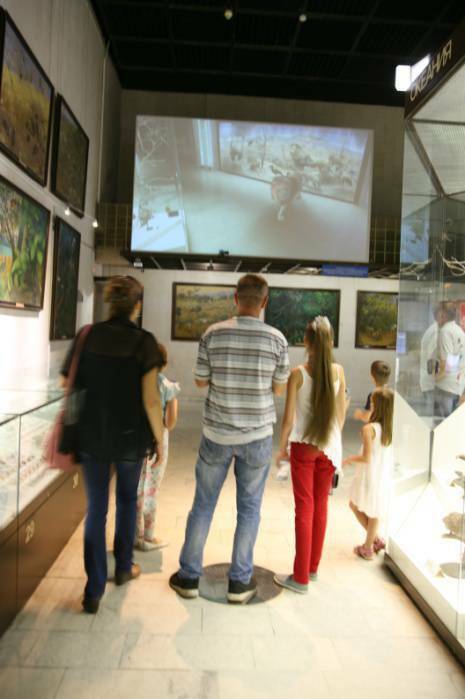 In recent years, the museum has been using modern technologies extensively and it now offers interactive facilities for children and adults: “Know Yourself, and You Will Know the WorldRussian: Poznay sebya-poznay mir or Познай себя-познай мир“, “Walk the Path of EvolutionRussian: Proydi putem evolyutsii or Пройди путем эволюции“, “Augmented RealityRussian: Dopolnennaya realnost or Дополненная реальность“, and “EkoMoskvaRussian: EkoMoskva or ЭкоМосква“. 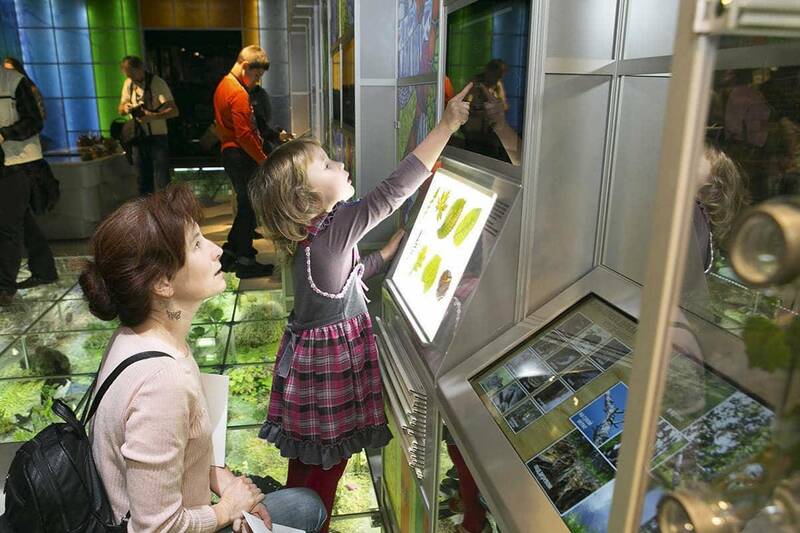 By engaging the visitor through active participation (through questions, games, tools, applications on tablets), you can learn about the development of our planet and the diversity of the world around us. 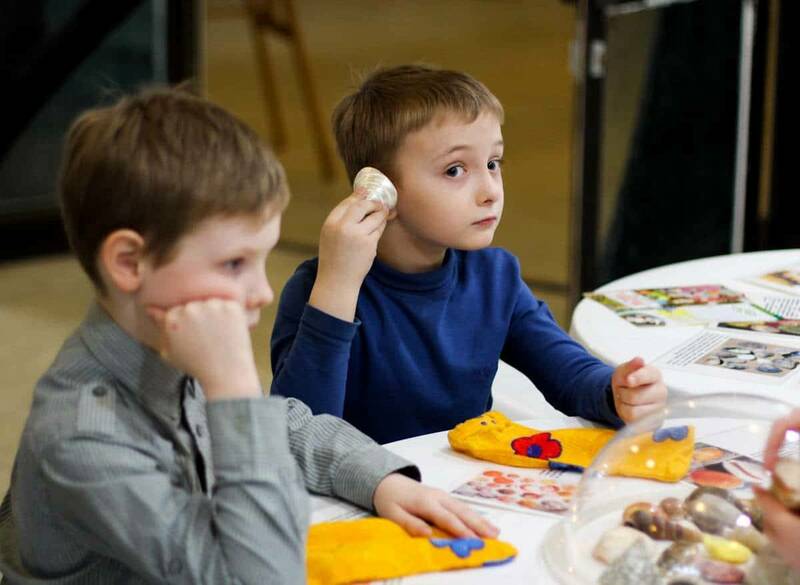 The museum will be of interest to people of all ages, but to children especially. 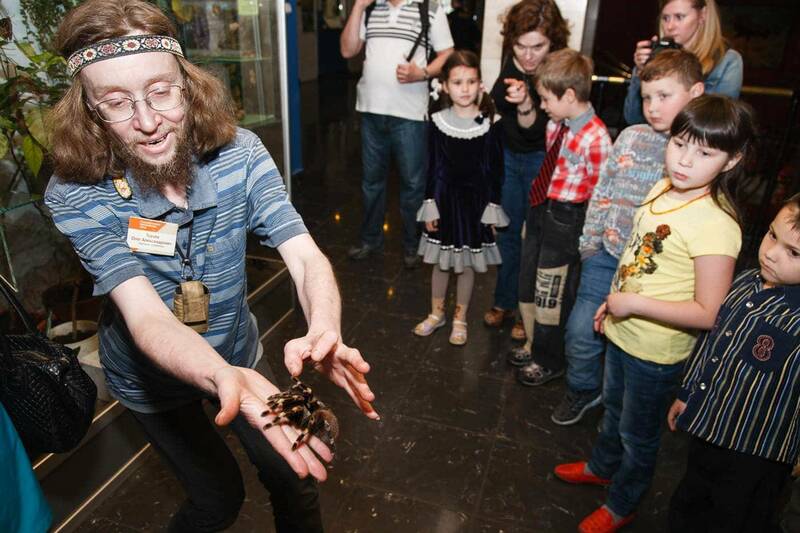 They will be able to see an enormous number of animals, including snakes, birds and insects from every corner of our planet, and to learn more about themselves and the world around them through play. 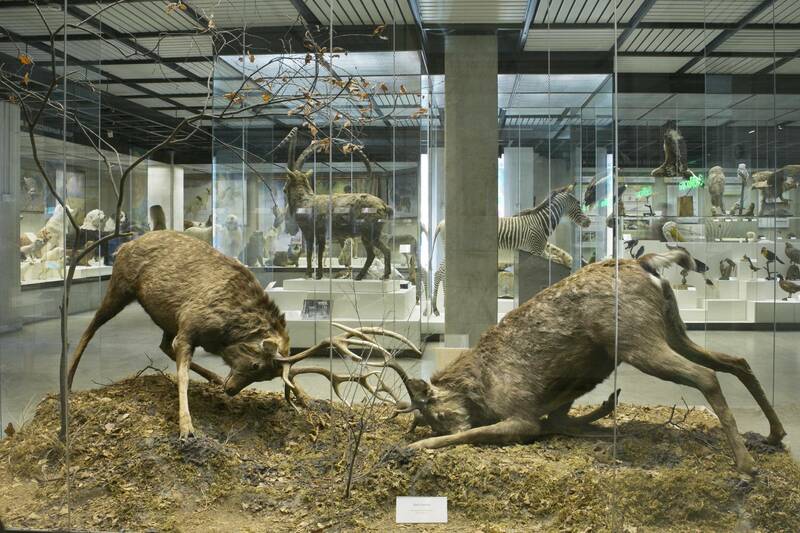 In this sense, the museum almost serves as an alternative to a zoo. Here you can see stuffed giraffes, elephants, crocodiles, bears, tigers, lions, penguins, walruses, snakes and many other species. 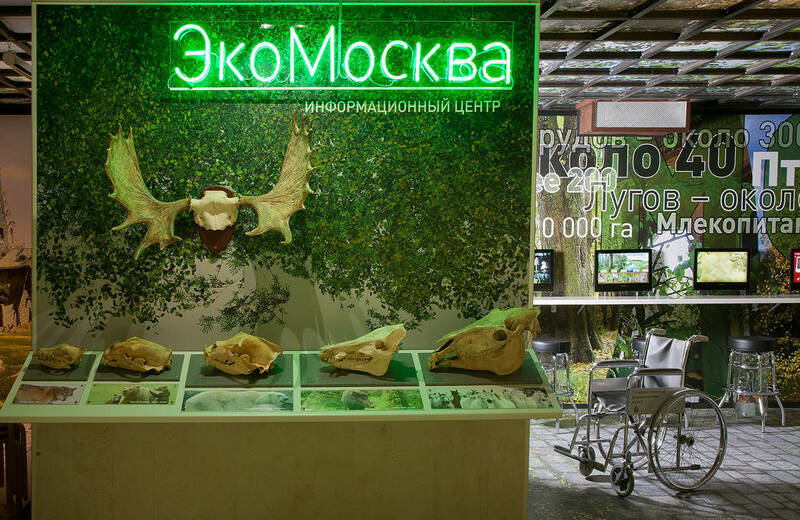 It’s recommended that you start your tour of the museum with the exhibition “Biological DiversityRussian: Mnogoobrazie zhizni na Zemle or Многообразие жизни на Земле” on the ground floor – the hallmark of the museum. 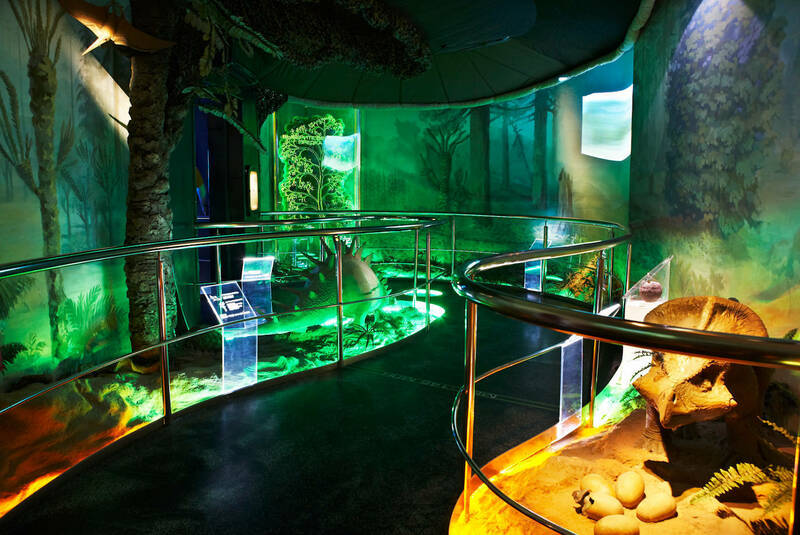 This exhibit describes the many habitats which house life on our planet – from the deepest depths of the ocean to snow-capped mountain peaks. 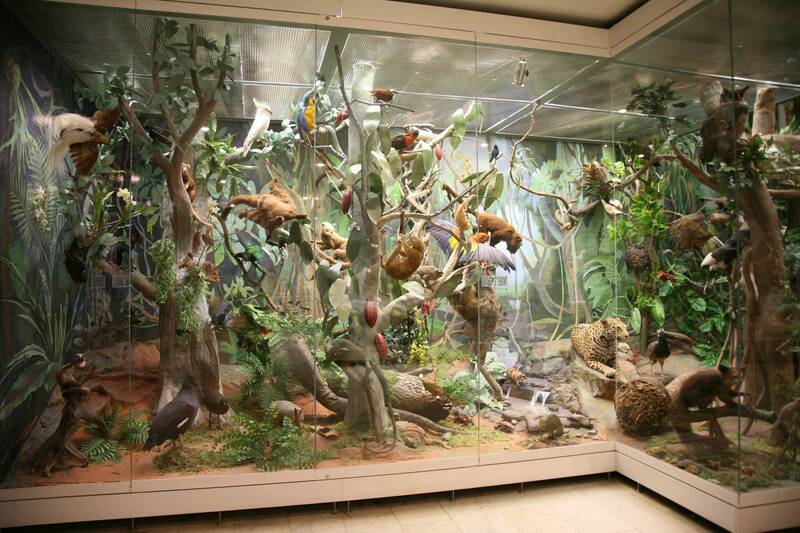 Behind display windows, you will see recreated deserts, mountains, rainforests, oceans, and savannahs. The most spectacular section is the display of the animals of Africa, where elephants, a giraffe, a zebra, a crocodile, and an ostrich demonstrate the diversity of savanna inhabitants. 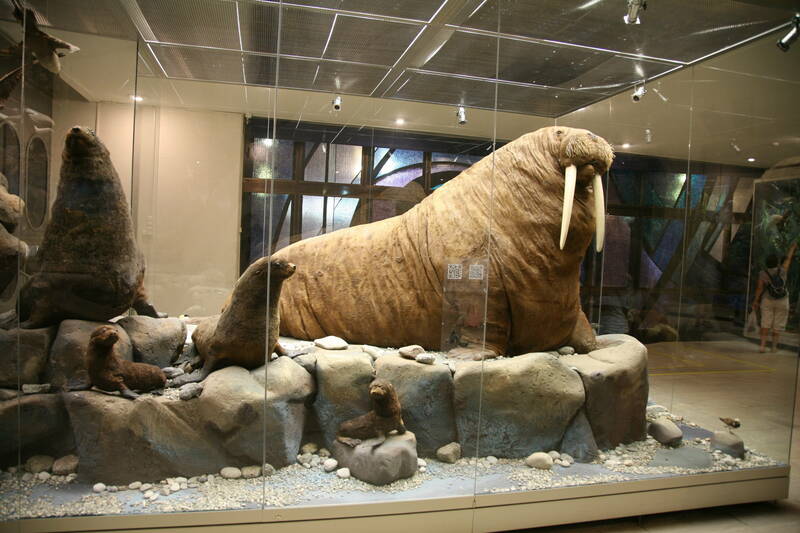 Just opposite, there is a display of species found in the Arctic, which astonishes visitors with its gigantic walrus. You can learn more about the animal world in the “ZoogeographyRussian: Zoogeografiya or Зоогеография” hall on the 2nd floor. 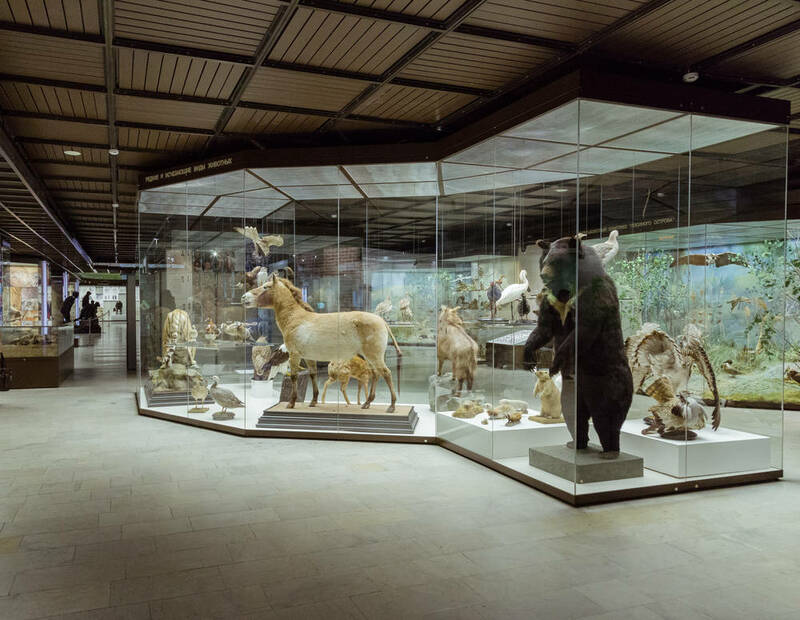 Approximately half of the hall is occupied by display cases featuring animals which inhabit different climatic zones of Russia: the Arctic deserts and the tundra, the taiga, the Far East, steppes, and deserts. 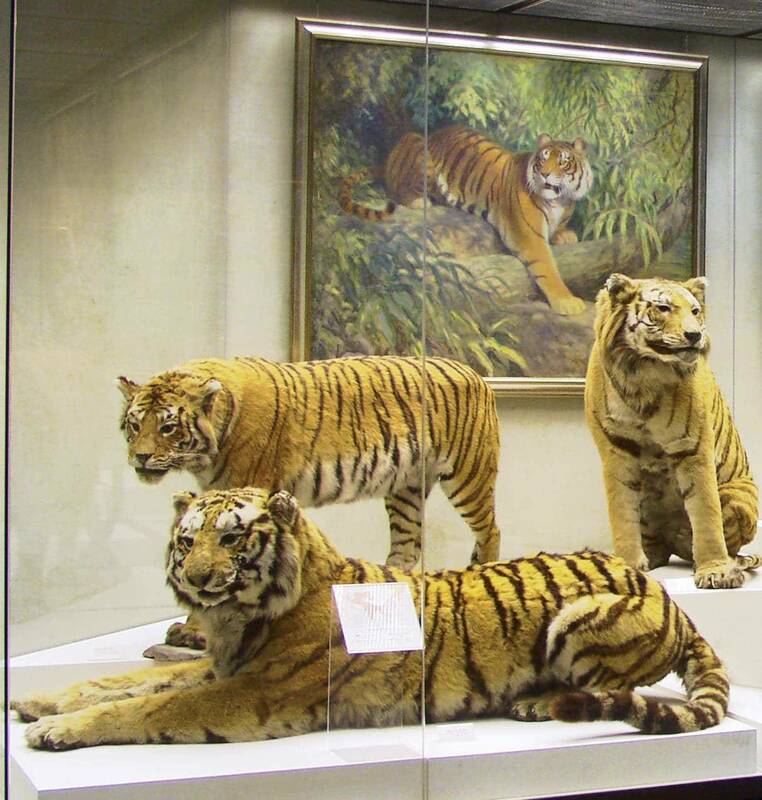 You’ll find “live labels” hanging next to some display cases; these are patches of skins belonging to a polar bear, a wolverine, a badger, a lynx, a bison, and a seal, which children and adults will be delighted to stroke. Almost every case has a small screen where short videos of the animals in motion are played. 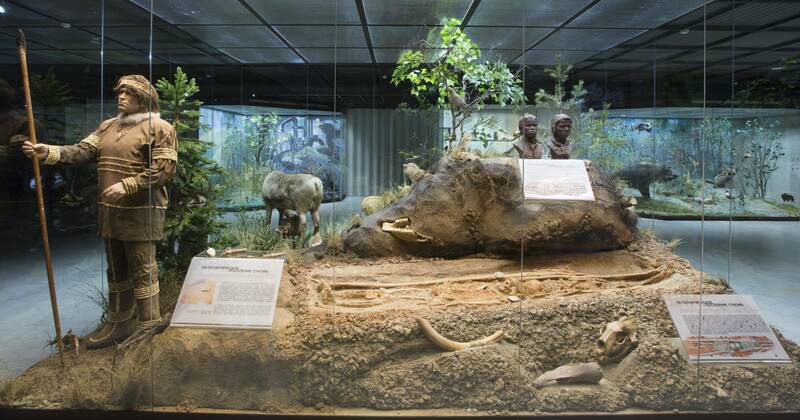 The second half of the hall is occupied by a display of animals of North America, tropical forests, and savannahs. 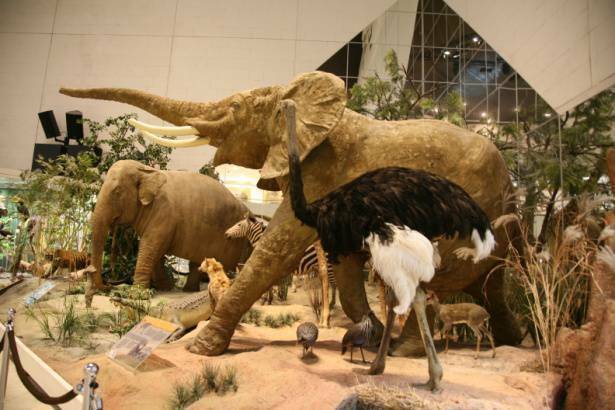 Here, you can see a lion, an antelope, an anteater, a sloth and more. 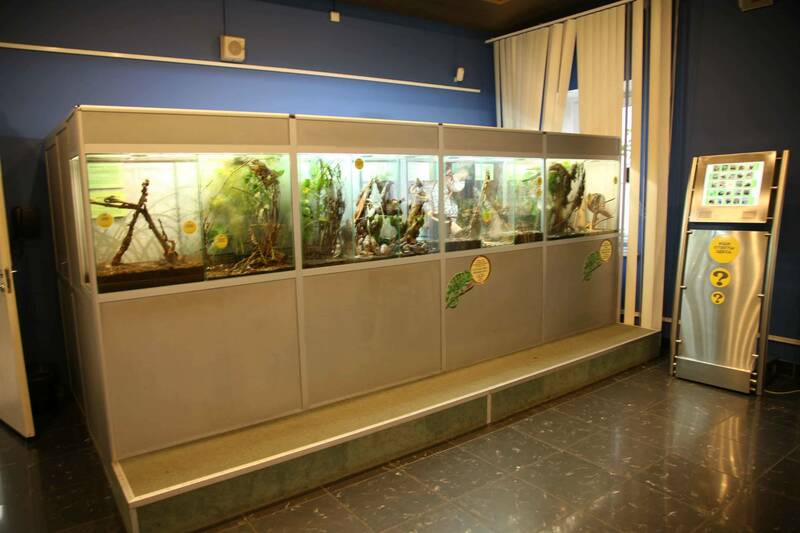 There are separate display cases in the hall dedicated to animals living in rivers, seas, and oceans. Collections of butterflies and beetles are also fascinating to take a look at. Next to them you’ll see “live scales” which measure your weight in cats, turtles, elephants, parrots and other animals. Make sure you don’t miss a very interesting interactive simulator called “Augmented Reality”. 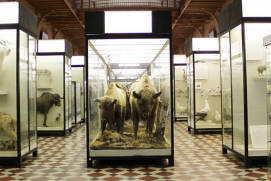 When you stand on a large metal circle, on the screen in front of you, you’ll be able to see yourself and the animals in the display cases coming to life. Perhaps you’ll see a Galapagos tortoise moving slowly about, a few lemurs hopping out and rushing past, a lion confidently striding away and an ostrich walking up to you and keeping close. Make sure you have your camera at hand to capture this fascinating interactive display. This sight is located far away from the city center, and it is comfortable to use a taxi to reach it. 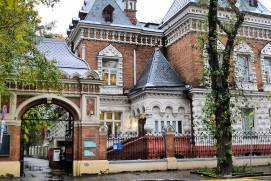 If you are interested in taxi Moscow services, you can read about it on our website page “Taxi in Moscow”. 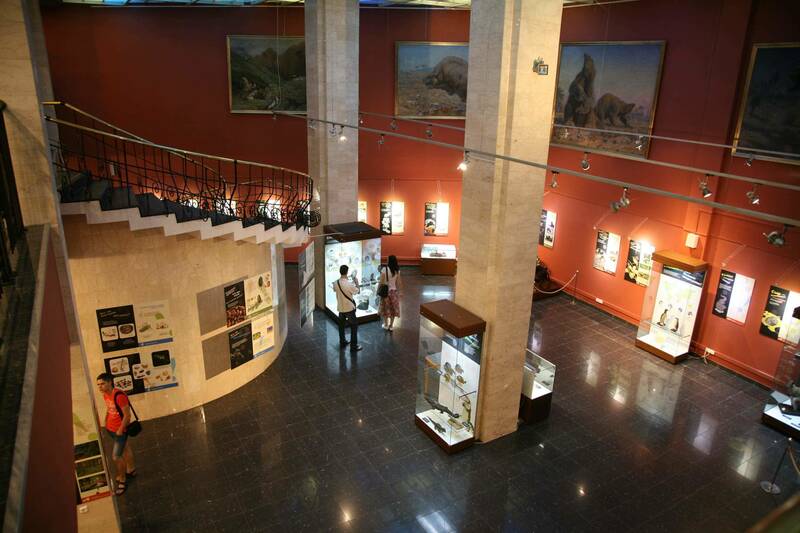 The Darwin Museum was conceived in 1907 by a young Moscow scientist named Alexander Kots. 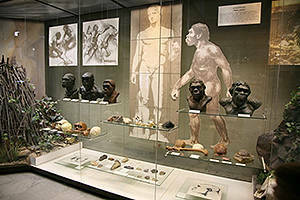 The concept was to build the first museum of evolutionary history. 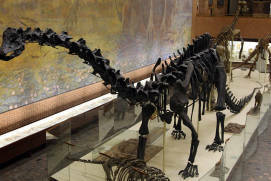 Today, exactly half of his display is displayed in halls dedicated to natural history. On the 1st floor you will find a hall called “Stages of Learning about NatureRussian: Etapy poznaniya zhivoy prirody or Этапы познания живой природы“. 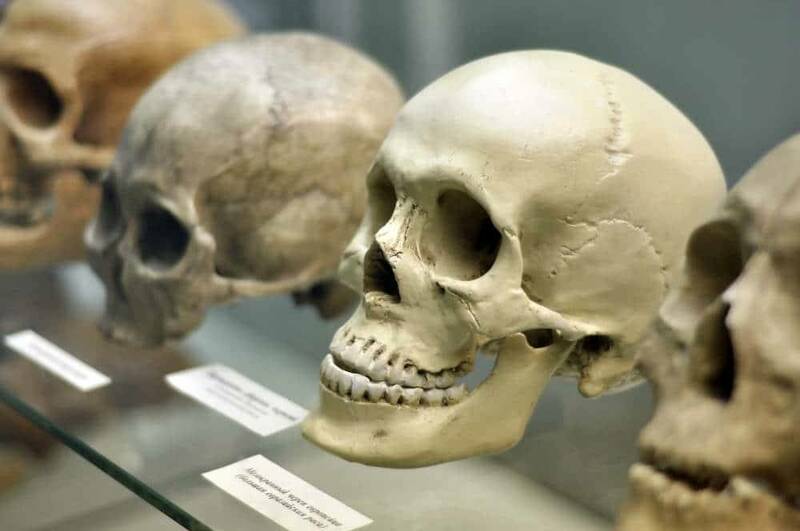 It demonstrates how the science of biology has evolved over the centuries. 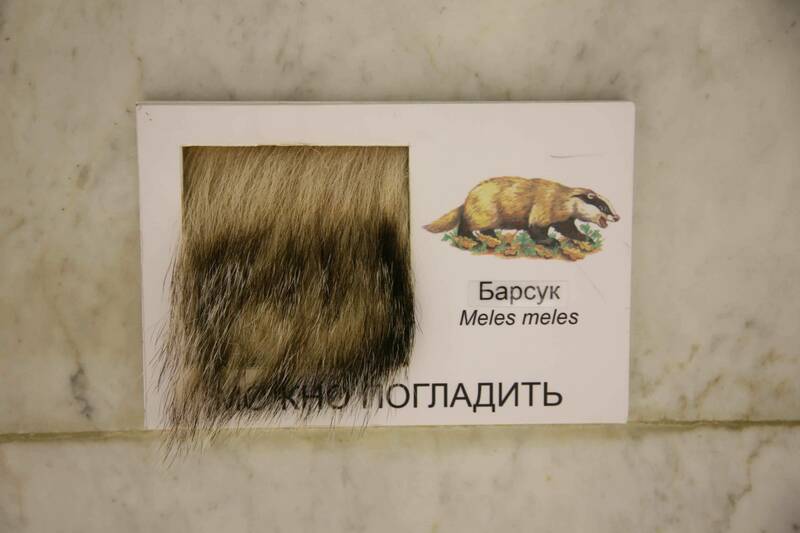 The basic provisions of Darwin’s theory of evolution are clearly illustrated in the “MicroevolutionRussian: Mikroevolyutsiya or Микроэволюция” hall. 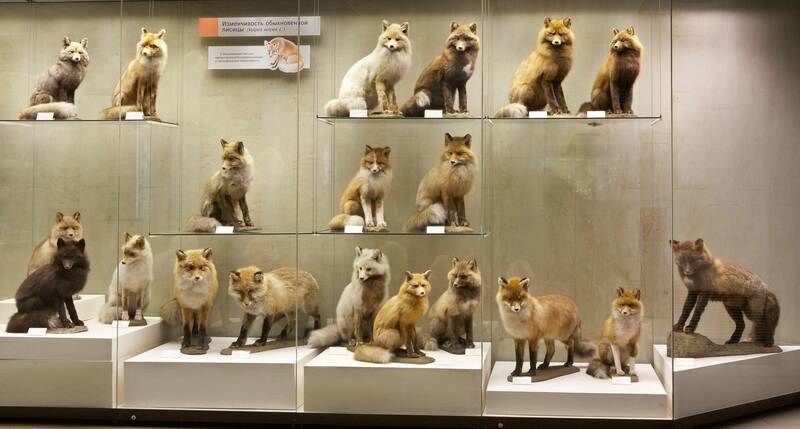 Young kids will be happy to see a large number of stuffed foxes and a display case with wild cats and bears of all kinds. 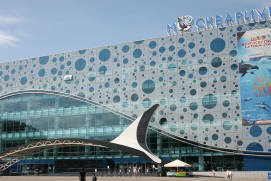 The same building houses the “EkoMoskva” multimedia centre with educational computer games, big jigsaw puzzles, and animal skulls which you can touch. 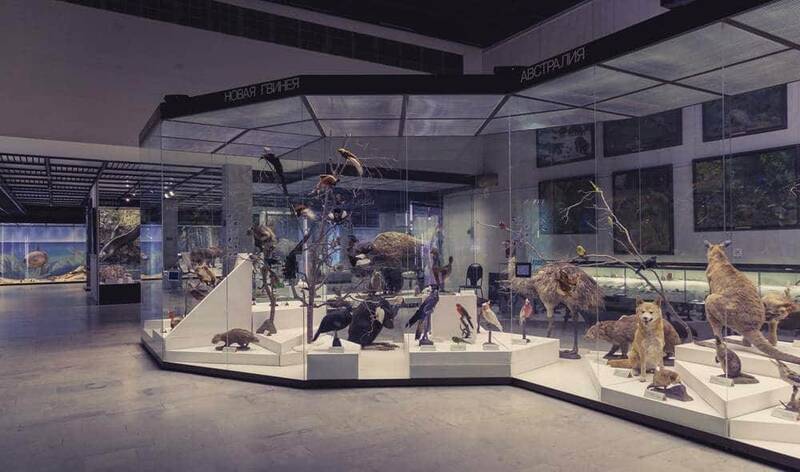 The “Macroevolution” hall on the 2nd floor shows how life has been evolving on the Earth and details Darwin’s theory of the origin of humans. 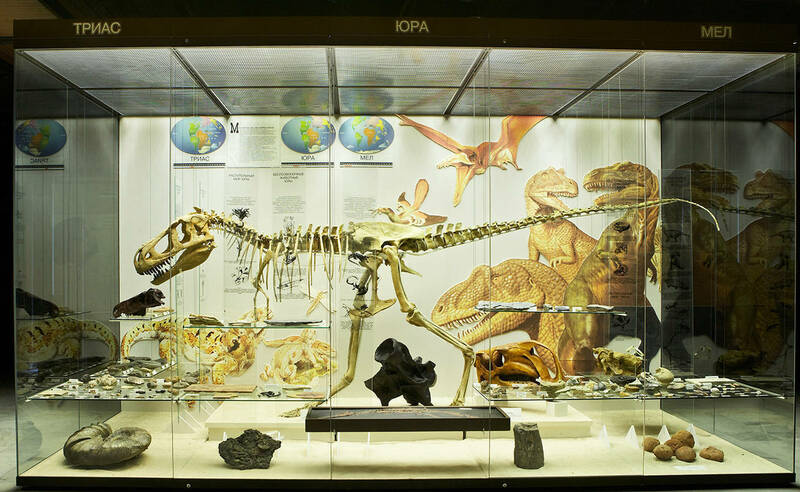 You might like to have a look at model dinosaurs in the “Cretaceous ReptilesRussian: Reptilii mela or Рептилии мела” display window. They move their tails, waggle their heads, and growl, and the pterodactyl hovering just below the ceiling flaps its wings. An attendant turns the robots on every hour on the hour or whenever requested. In the same hall, you will also see model dwellings of ancient people. 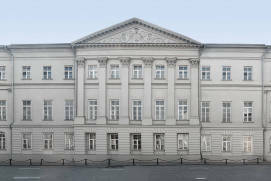 On the ground floor the interactive kids’ center “Know Yourself and You Will Know the World” has been open since 2014. 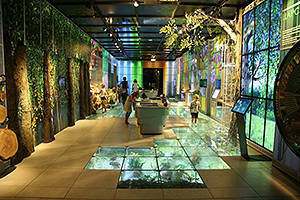 There are a huge number of interactive exhibits – over 50 – displayed around the perimeter of the hall. Here you can assemble a human skeleton on a magnetic board and use a large screen tablet to find out what internal organs we have. You can also look into a microscope, count tree growth rings, put a cage together and do many other things, stirring kids’ interest in natural science. 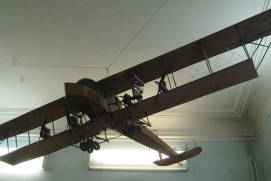 The Darwin Museum occupies 2 buildings. 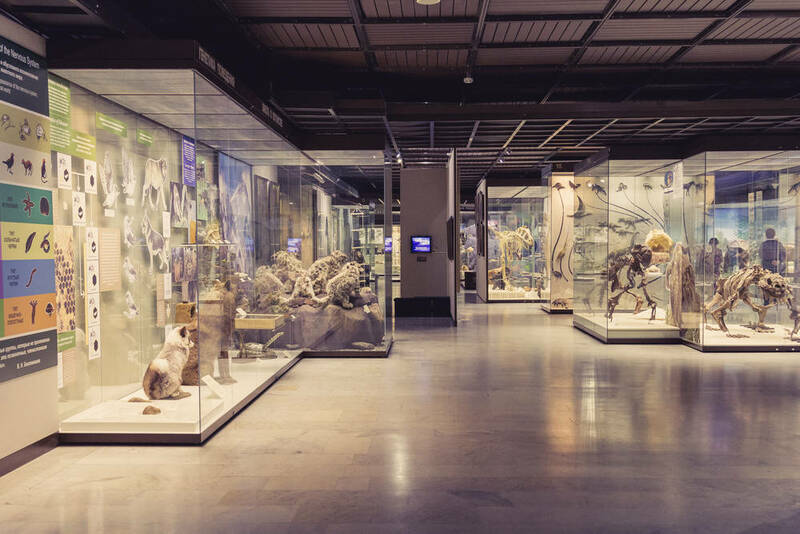 One houses a permanent exhibition while in the other there are temporary exhibitions, a 5D-cinema, a display of live insects and an interactive maze called “Walk the Path of Evolution”. 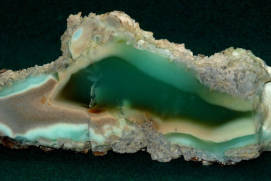 Here, by answering questions, you can trace the evolutionary history of the Earth since the origin of life before humans. Afterwards you can get to the roof of the museum building where there is a small play area for kids as well as benches and pouffes for adults to sit in the open air. 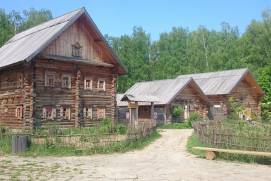 There is a small paleontological parkRussian: палеопарк in the museum courtyard. 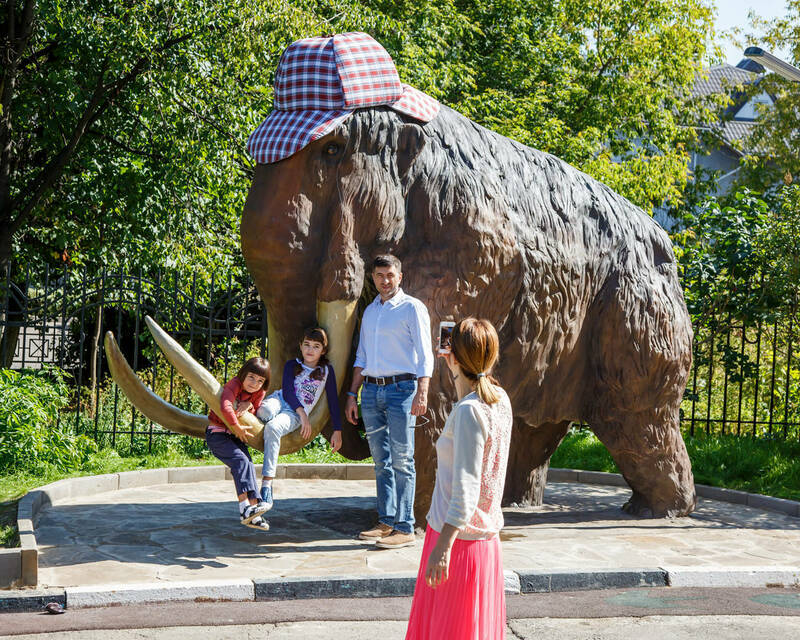 Here, there are eight figures of ancient animals which once lived on the territory of Russia. All of them are life-sized. At the end of the park there is a gazebo filled with sand where, with the help of brushes, children can excavate authentic remains of ancient fossils hidden under a layer of sand. 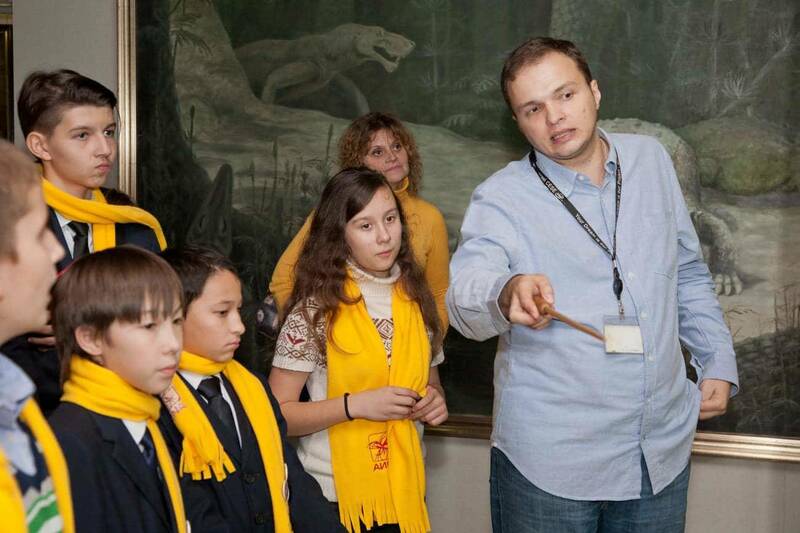 The museum runs themed tours for students and children aged 3 to 16. At the box office you can buy guidebooks and workbooks with tasks to do after viewing the display. The museum has its own free car park. 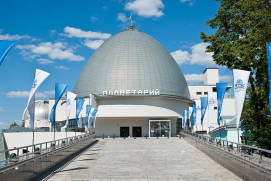 Th: 10 a.m. - 6 p.m.
Fr*: 10 a.m. - 6 p.m.
From 20 to 400 rubles depending on visitor's category and programme of visits. Amateur photography is free of charge. We were in the museum with tenth grader. She enjoyed reading about the discoveries of scientists and looked at stuffed animals. 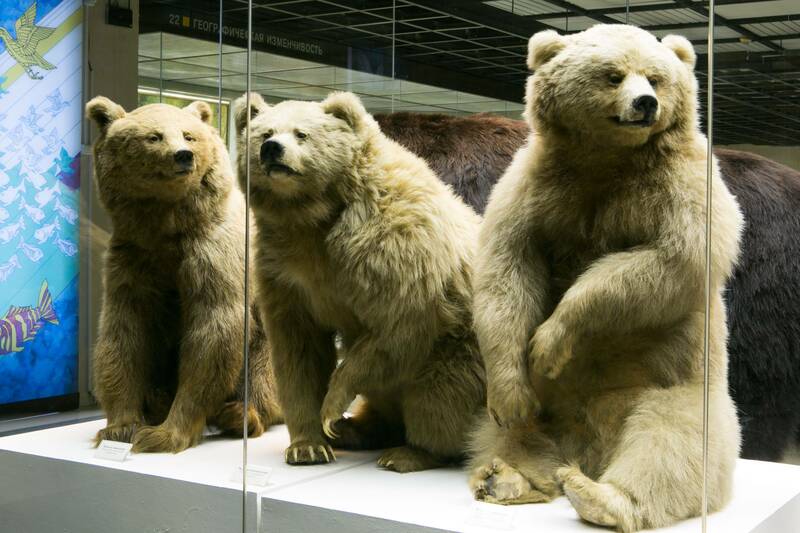 The museum is trying to be modern, it opens expositions with the opportunity to touch the skin of a bear, a snake, etc. I strongly advise you to go to "Walk the path of evolution". 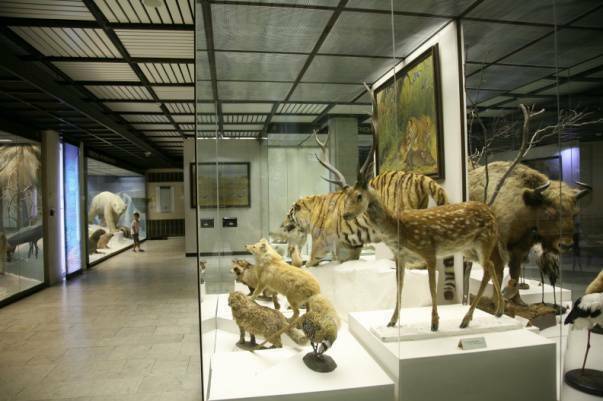 The expositions of the central part of the museum have hardly changed since our childhood. But that interactive, which was added to the halls, computers and several new expositions causes a complete delight! 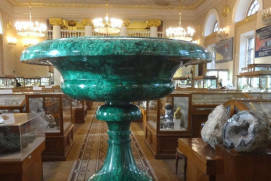 Many times we were in this museum concentrating on different halls. 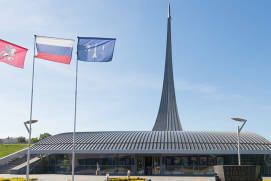 It's wonderful, and most importantly, very informative museum! In the lobby, you can buy little books with riddles and when you come to the hall, you will find animals encrypted in the book. Be sure to play.